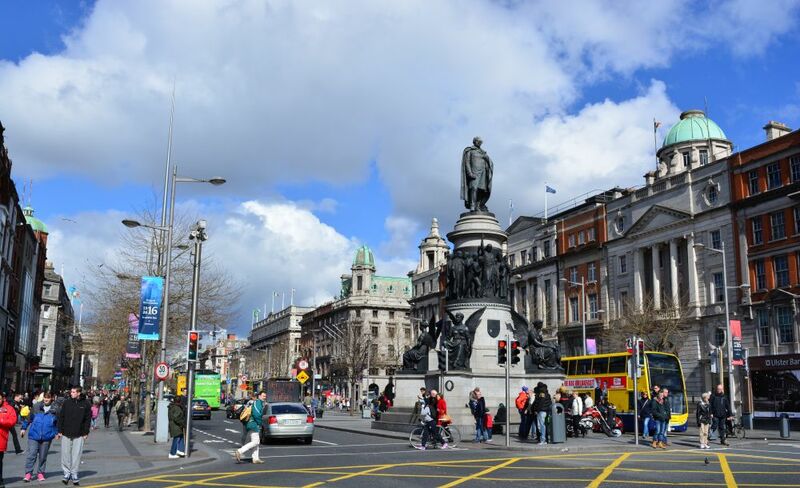 O'Connell Street is a grand boulevard with a wide central island filled with statues and memorials and the road flanked by many shops and fine buildings. 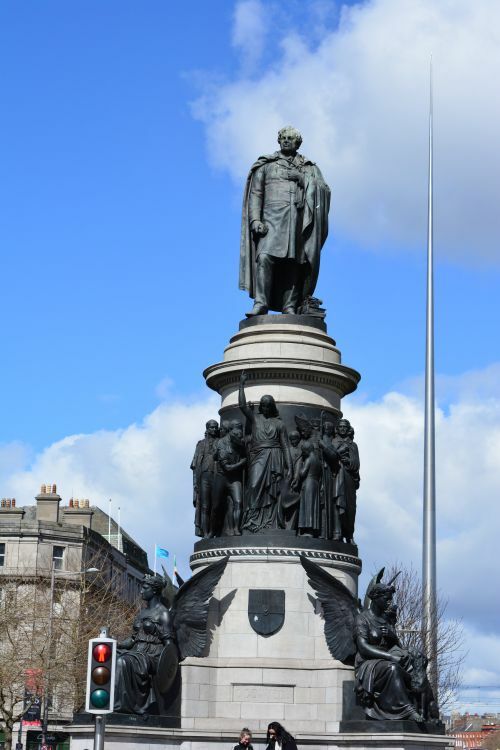 (above) The statue monument to Charles Stewart Parnell 1846-1891 in O'Connell Street In 1878 Parnell became an active opponent of the Irish land laws and in 1879 he was elected president of the newly founded National Land League. 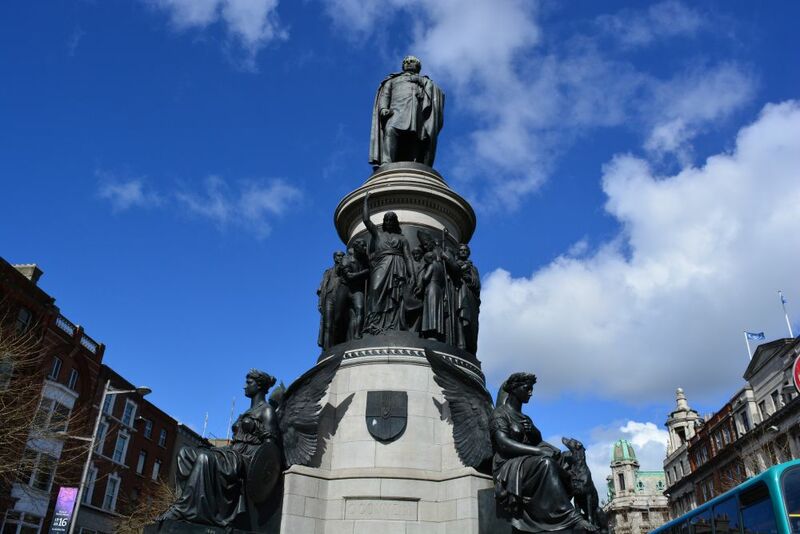 He was an important parliamentarian in Irish political history and campaigned for home rule and land reform fighting for the rights of tenants against the what was seen as the oppressive power of landlords and land agents. 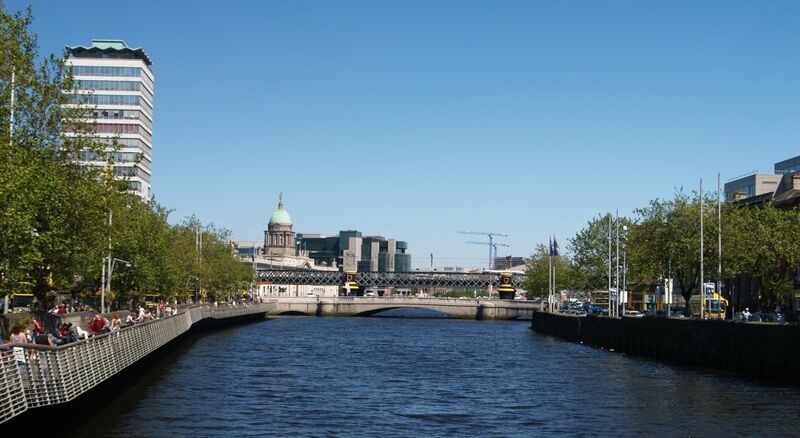 Looking north up O'Connell Street from O'Connell Street Bridge. 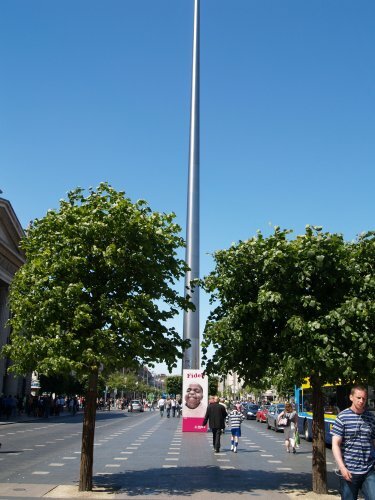 The junction of O'Connell Street and Earl Street North. 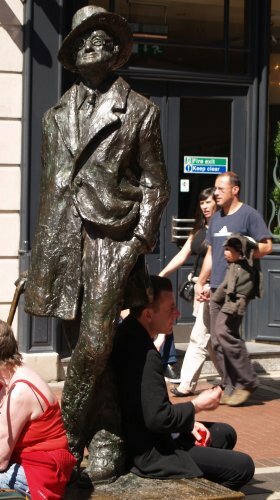 The statue of James Joyce in O'Connell Street provides a comfortable place (unlike his books!) to rest for a chat or snack! 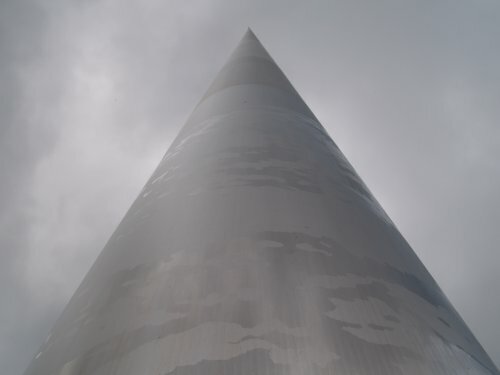 Perhaps Dublin's most famous author via his works "Ulysses" and "The Dubliners"
The Dublin Spire provides a nice opportunity to play with the camera when ambling down O'Connell Street! 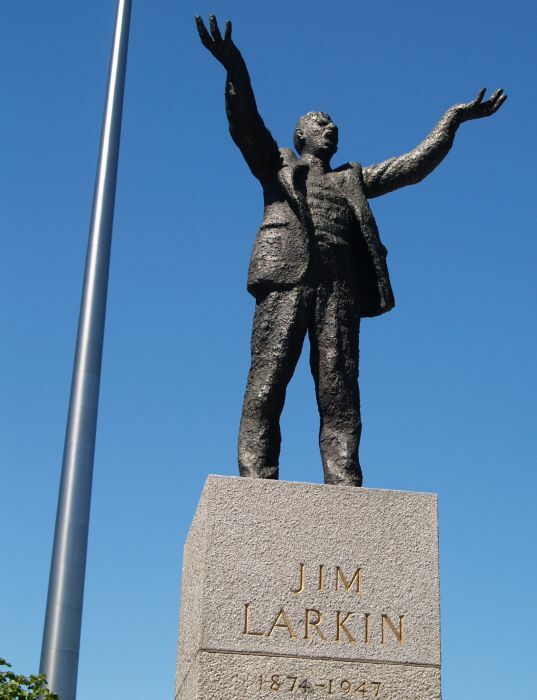 The statue monument in O'Connell Street to union leader Jim Larkin 1876-1947. 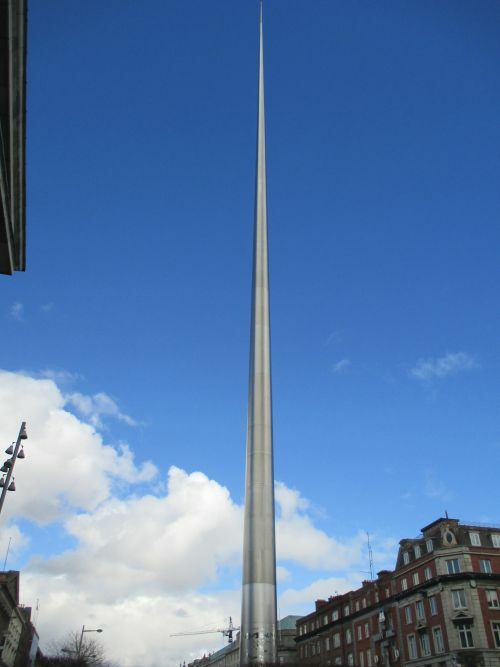 He was the founder, chief organiser and general secretary of the Irish Transport and General Workers' Union. 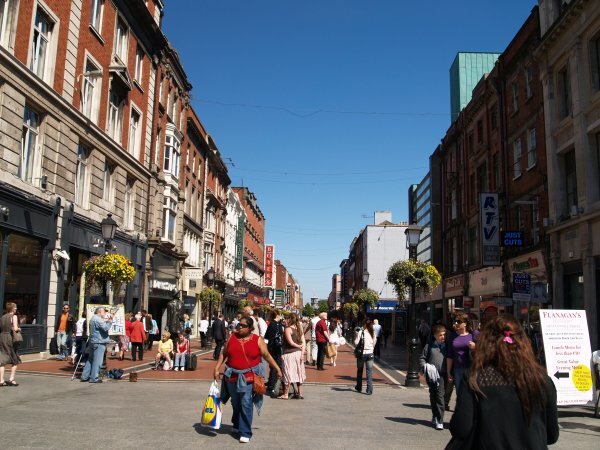 He was a lifelong socialist and fought as hard as anyone for the rights of workers. 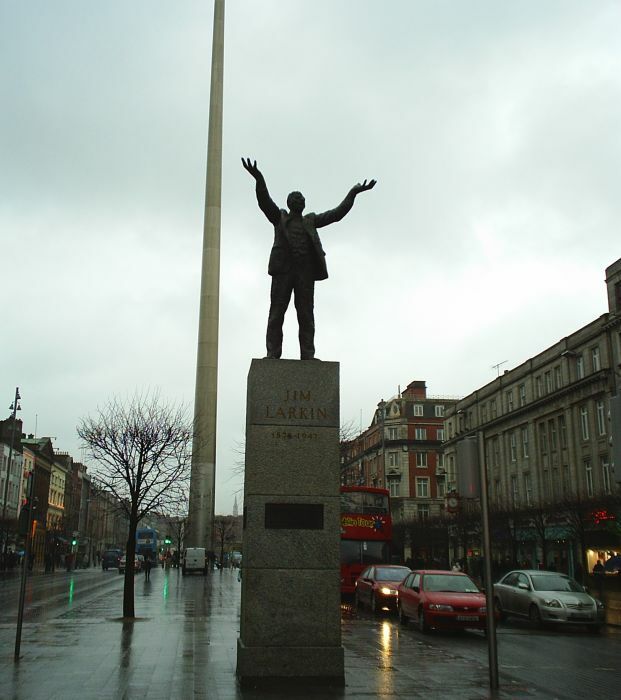 I wonder what he would make of the 'Celtic Tiger' economy and the distribution of the wealth of Ireland and the price of house in Dublin for a young married couple! 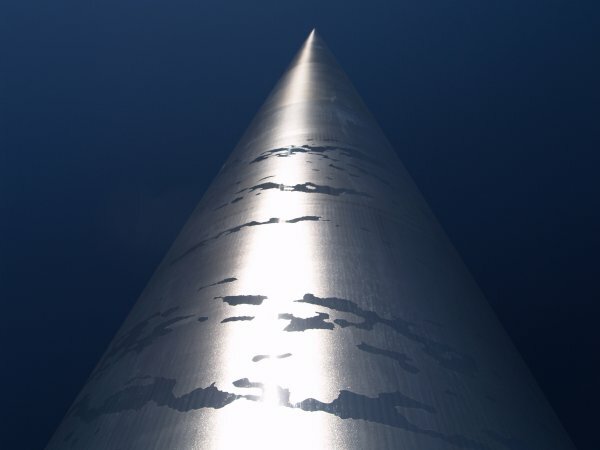 Jim Larkin aligned with the Spire of Dublin which replaces the Nelson monument blown up by the IRA in 1966. 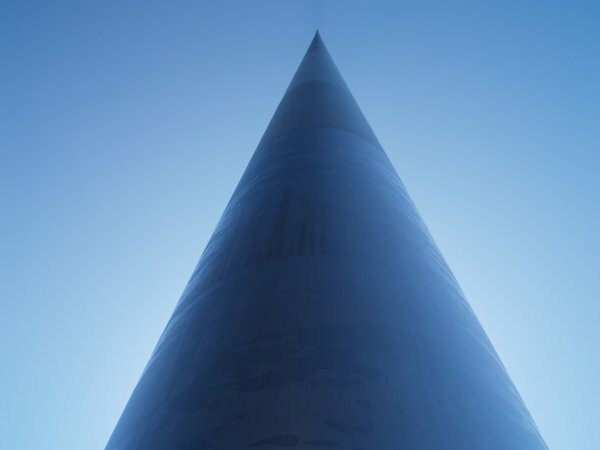 It is 120m (393 feet) high and affectionately known as the 'stiletto in the ghetto' or 'the stiffy by the Liffey'. 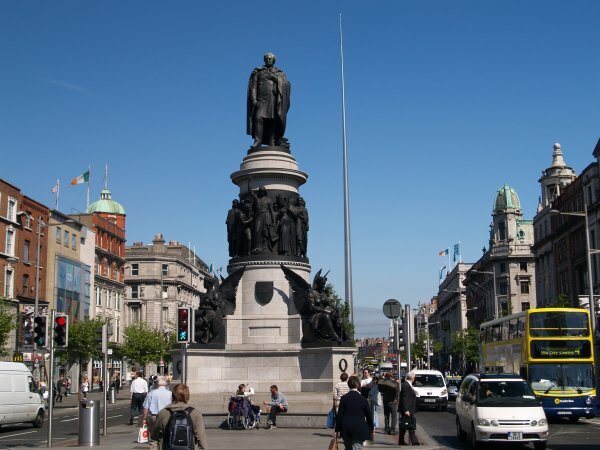 Left: The statue monument in O'Connell Street of William Smith O'Brien, sentenced to death for high treason 3rd October 1848! 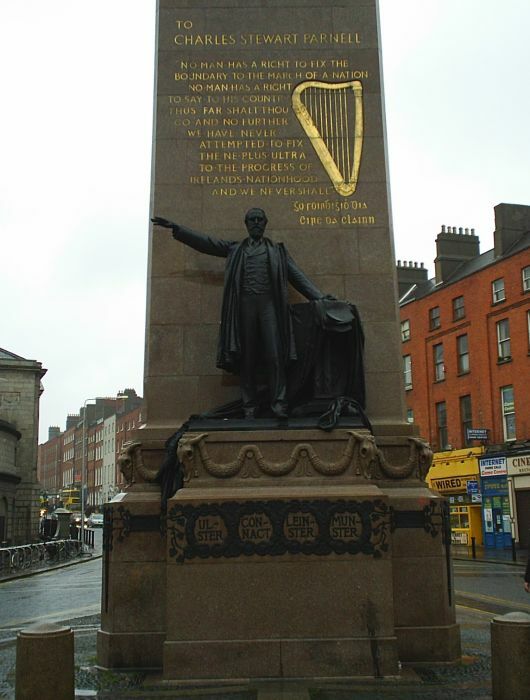 Right: The statue and monument to Sir John Gray (1815-1875) in O'Connell Street. 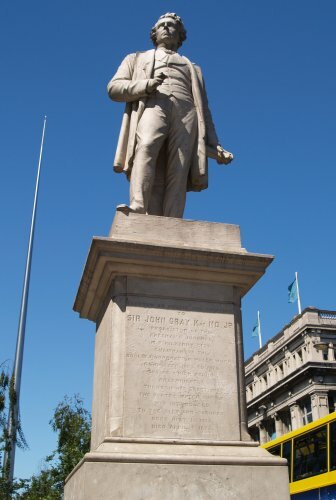 Sir John Gray (Grey) was a well respected Irish physician, surgeon, newspaper proprietor, journalist and politician who gave great service in many ways to the people and society of Dublin. 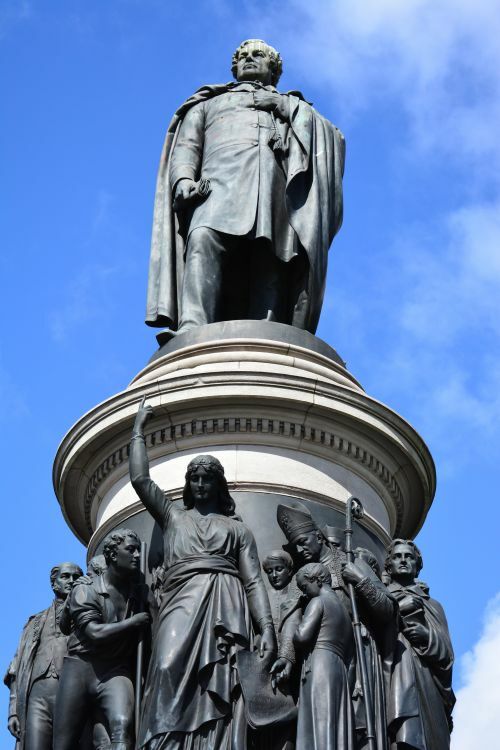 The huge 1882 monument and statue to Daniel O'Connell 'The Liberator', after whom this street is named. 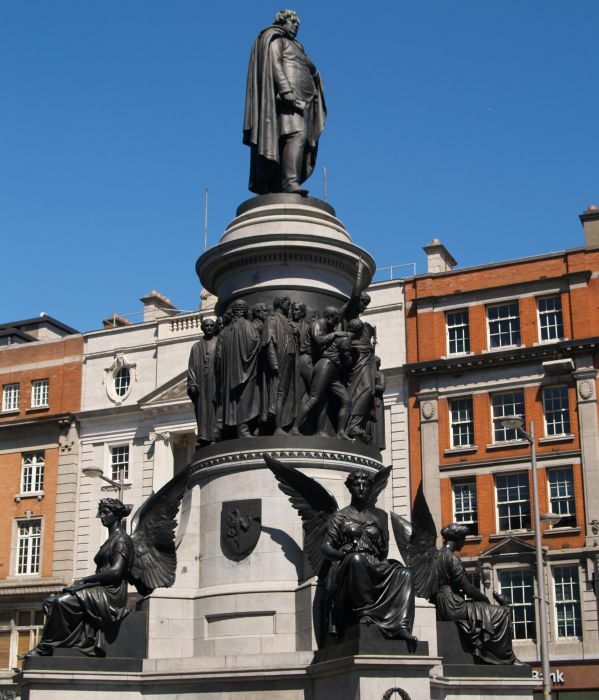 After leading a 5 year campaign of mass rallies and protests the Catholic Emancipation Act is passed in 1828-1829 giving a limited number of Catholics the right to vote and he was the first Catholic to be elected as the Mayor of Dublin in 1831 but was later jailed for calling for the repeal of The Act of Union. 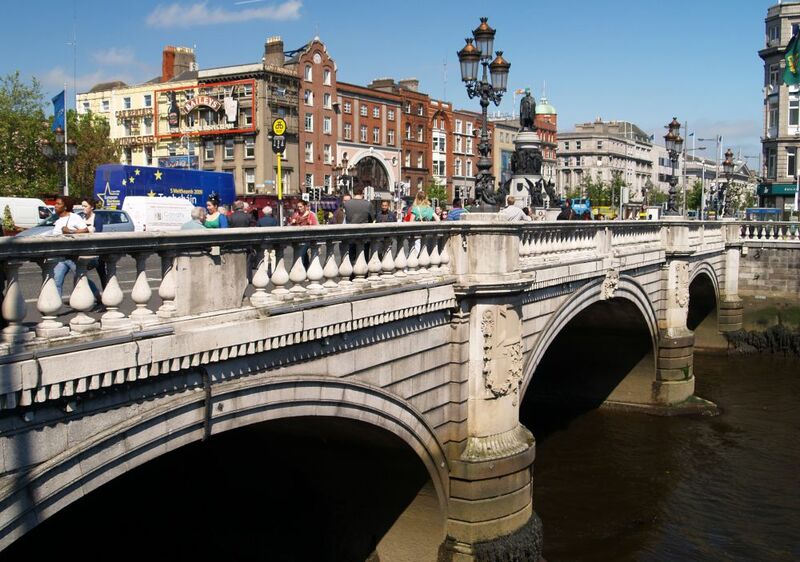 Looking north up O'Connell Street from just above the O'Connell Street Bridge over the River Liffey. 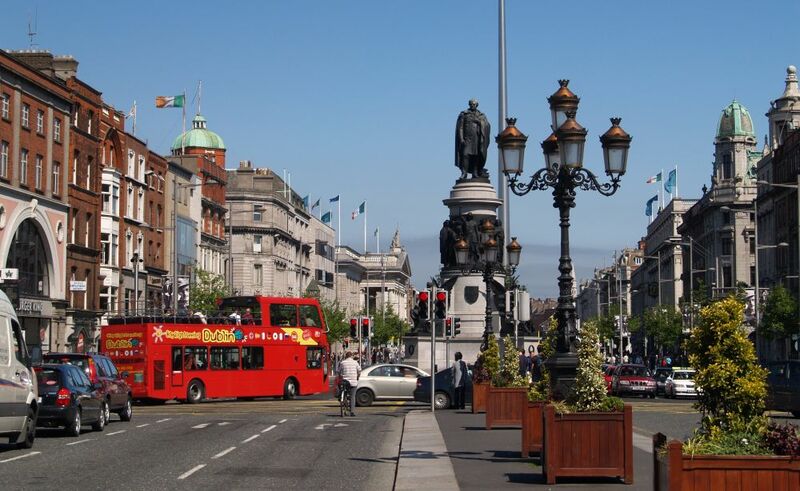 The red bus is one of two companies operating the 'Dublin Bus Tour'. 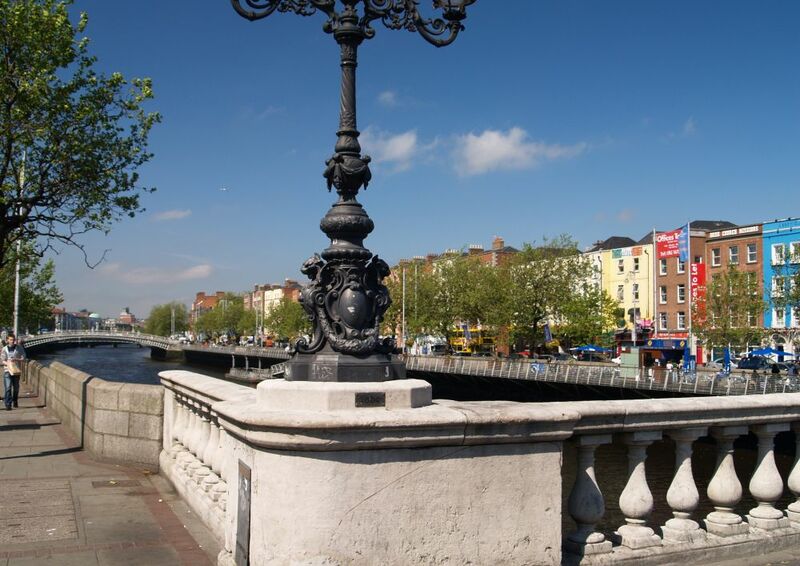 The O'Connell Street Bridge of 1790 or 1880?